It's September! I'm going to try and blog everyday this month. I'm not very good at scheduling posts in advance and really have a hard time with memes. I'll work both those things out as this month continues. 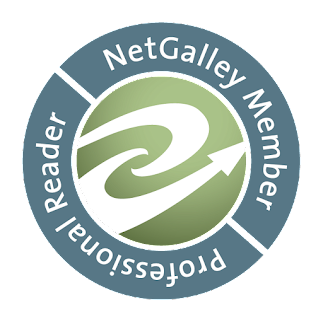 I have several blog tours coming up and books that I've requested that from publishers plus some reviews from past months. I should be able to do this. I've not felt up to blogging these past two months and I'm having a hard time getting back into the swing of things. We shall see! Kay Cassidy, and her author pals have come up with Living Your Five. "Living Your Five is all about knowing what matters most to you and making a difference in your world in ways large and small." The authors ask that you examine what's important to you and come up with five ways to live those important values everyday. They are going to transparently "live" their five through the group blog with posts every other day. I've read all the Fives put out by these ladies as I've reflected on my Five. I still haven't put mine into words yet but I know they will have something to do with intentional living, decreased consumption, teaching or mentoring others, and positive communication. I will post them as soon as they are finalized. I'm going to be doing this with a few teachers from my school. I've read more books off the St. Joseph Public Library's Mock Newbery list and am starting to get into this. It will be fun debating the merits of books with the teachers. My monthly list will be slightly different than St. Joe's because our focus will be more geared towards our jobs. I'll be posting our first reading list soon. Today, August 28, is Sean Beaudoin's birthday! I totally loved this book. I read it the day I received the ARC from Little, Brown on Facebook. Fade to Blue is not only the title, it tells the story of two characters in the book, Kenny Fade and Sophie Blue. The chapter titles were pretty cool because they go from 0 and count up, then there's a comic, and then it counts down to 0 again. All 3 stories are related. We follow Sophie as she tries to figure out what happened to her dad and why is that psycho ice cream truck always following her! If you like smart, funny reads loaded with pop culture, music references, and sarcasm this is your book. It also has virtual reality and comix! 58% of the letters in Sean Beaudoin's name are vowels. Backwards, it's Naes Nioduaeb. In Pig Latin, it's Eansay Eaudoinbay. Sean Beaudoin has used his B.A. in photography as a springboard into the following jobs: construction laborer, circus roustabout, busboy, used book buyer, hotel desk clerk, camp counselor, statue repairman (really), seller of jazz vinyl, and a nine-day stint as The World's Worst Telemarketer. He now resides mostly in Seattle, but also sometimes San Francisco, with his wife and daughter. I also tend to list my history and traits in the third person, as if someone else were writing it for me. I love hot sauce and almonds and Turkish coffee. I hate the phrase "it is what it is." When people say that, I tend to respond, in a much deeper voice than I really have, "NO, IT ISN'T." I like vinyl and French movies and books about unhappy people from the Fifties. I'm not particularly crazy about police procedurals, ketchup, rap-metal, Julia Roberts, cell phones, or Sudoku. Was the Ice Cream Truck in Fade to Blue inspired by your friend's Pie Truck? That's a funny question, but no. The ice cream truck was in the manuscript a good two years before Pie Truck reared its head on the rough and tumble streets of Alameda, CA. But Pie Truck is such an excellent, endearing, and tasty idea, that it may have to make an appearance in a future book. I loved your advice to "Neither of These is Miles Davis", you understood her dilemma so well. Describe a situation where your personal space has been invaded. How did you "handle" it? Hmmm. I was on a flight about two weeks ago where a family of six took up the entire row in front of me. They were, I will say, not a family of rigorous dieters. For some reason, the children, who were all in their teens, took turns sitting on Mom's lap. It seemed odd to me, since they appeared to be of the age where most teens wouldn't want to be caught dead anywhere near Mom in public, so I actually found it sort of sweet. Except for the fact that with both of them in one chair, and Mom having her seat back and tray table all the way reclined, they were pretty much sprawled right up in my business. Most odd, though, was when Dad decided to take his turn on Mom's lap. I am not making this up. Suddenly, there was six-hundred pounds of married bliss and suspect spatial awareness more or less announcing itself six inches from my face. At first I thought it was a joke, but they stayed that way a very long time, watching the in-flight movie. Mom rubbed Dad's back, while Dad stroked his beard, curled on her lap like a terrier. It was exceedingly weird. The way I handled it was to say nothing, marvel at their lack of self-consciousness, and bide my time for an opportunity to relate their behavior in an only marginally amusing interview response. I used to be extremely opinionated and even judgmental about what I thought good literature was. It was easy for me to toss around opinions and slam works I thought were inferior, derivative, cynically manipulative, or dishonest. Then I tried to write a book. Turns out, books are hard to write. My entire evaluation system changed drastically. It's very hard for me to be negative about almost any book now, because I can instantly relate to the struggle the author went through to get it on the page no matter what I feel about its merits personally. I also think with the internet it's far too tempting, and common, for people to be anonymously flippant, even cruel, about appraising someone else's work without realizing what went into it. At this point, if you've actually finished a novel, no matter what it's about, I'm more or less on your side. That said, with almost 150,000 books published last year, there is a vast and mathematically unavoidable disparity in quality. Yeah, let's be honest, there's a lot of crap out there. So, my rating system is set up to kind of make a joke about the idea of standing in judgment, as well as being vulnerable to others' judgment, while still allowing me to talk about other books in a consistent and honest way. If someone finds that they share my taste or aesthetics, that's great, and they can decide if they want to read what I've reviewed or not. 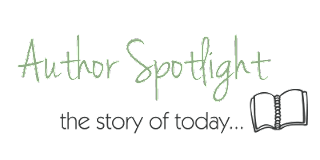 But, to answer your question even more obliquely, I'd have to say overall, about 70% of the time, I am impressed by other author's creativity, discipline, and talent. I know, it was such a funky job. Essentially, I worked in a statuary that cast cement and marble garden and house sculpture, as well as bird feeders and faux-Rodin's and mini-Davids and such. Since it was sort of a shady operation, the statues would frequently come out of the molds missing snouts, fingers, arrows, wings, talons, and unseemly cherubic attributes. My job was to "repair" them, by re-attaching the lost appendages, or sort of cosmetically enhancing the flaws with a watery mixture of Quick-crete and paint. My job was also to dip them into this huge tub of noxious chemicals wearing shoulder-length rubber gloves (but no mask) so they looked aged when they came out. I figure I lost about 30 IQ points doing that. It was like breathing in huge gusts of deck stripper all day long. I frequently drove home in a weird, nauseated haze, humming along to static on the radio. But, it paid $10 an hour, and back then, that was really good money. You Killed Wesley Payne is Grease meets The Maltese Falcon. It's what would result if the DNA of The Road Warrior and Beverly Hills 90210 were spliced together and then grafted to Samuel L. Jackson's coccyx. It's cops and cliques. It's love and vice. It's a band called Pinker Casket who rocks so hard they may actually all be dead. And it's a pulp-noir murder mystery in which hard-boiled seventeen year old Dalton Rev must solve the mystery of "The Body" before it solves him. Monstrumologist by Rick Yancey - I've read all the Alfred Kropp books. I've loved all the Alfred Kropp books. I want to spread my love around. 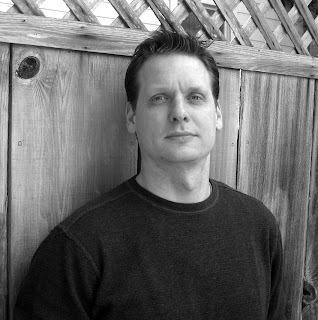 Wish You Were Dead by Todd Strasser - I've read How I Changed My Life, Girl Gives Birth To Own Prom Date (and saw movie), Boot Camp, and The Wave. I've loved them all. I want to spread my love around. So, if you have those books, maybe we can make a deal. Waiting on Wednesday is brought to you by Jill of Breaking the Spine. Head on over to find some additions to your TBR pile! The book is divided into five parts: Part 1 - age 7 to beginning High School, Part 2 - Freshman Year, Part 3 - Sophomore and Junior Year, Part 4 - Junior Year, Part 5 - Senior Year. In each part Friedman focuses on both home and school with more emphasis on school as the year progresses. In this Young Adult memoir we get a glimpse into Hannah Friedman's life starting in Part One where we meet Amelia - her mom's pet monkey. We continue with Hannah giving us the goods on various mean girls, failed road trips, and being deferred at her first choice college. Friedman's writing is frank and spares no one's feelings, not even her own. She talks about her battles with keeping up with the "Jones" even though she didn't have the money or the background as well as her struggles with her weight. Hannah tells all. It's not pretty but it sounds pretty accurate. Fortunately, it's not the whole story, this is just a small part of Hannah. The writing flows smoothly with the exception of Part 4 when Hannah attends school in the city for a semester. The timing was difficult for me to follow and I found myself re-reading to help the pieces fall into place. It was also questionable whether the graphic details of Hannah's love life contributed anything additional to the writing. Overall, the book was entertaining and could be useful in a high school English and/or journalism class. The immediacy of the memoir could serve as a valuable lesson on writing what you know. I will be picking up part two as soon as it's released! TV producer Whitney Benson is tired of her older sisters’ attempts to fix her up with every single male they meet. Shannon and Regan cross the line when they arrange for her to go skydiving with the simple excuse that more guys like to float in the air than women. Whitney meets two eligible bachelors, Jack and Ben, who constantly battle for her affection. Which one will she choose? Both men make Whitney realize, even a heart shattered by her husband’s death, can once again be made whole. As the youngest in the family growing up on a farm outside of Findlay, Ohio, Diane often acted out characters from her own stories in the backyard. In high school she was the student sitting in class with a novel hidden in front of her propped up textbook. Her passion for reading novels had to be put on hold during her college years at Ohio State University with working part-time on campus and being a full-time student. Before embarking on her writing career, she was a school teacher and play director. My teaching career started at the Ohio Soldiers and Sailors Orphans Home in Xenia, Ohio. Back then, there was a surplus of English and History teachers. I wasn't able to get a job teaching English and Speech (received a dual major) so I settled for a job teaching business courses. I'm glad now I did because that's where I met my husband, Tom. With his broad math background, the only job he could get was at the orphans' home. I did leave after a year to teach junior high English in Wabash, Indiana, and Tom left to teach math in Virginia. Three years later we married and started a family. I decided to stay home full-time to raise our six children. However, teaching remained part of my life while volunteering as a teacher for Sunday school classes and vacation bible school. I also taught a preschool in own home using some Montessori methods and wrote a book about this experience. There wasn't any problem for me in making the transition from teaching to writing. I think my teaching background gave me important skills when I turned to writing as a profession. As a teacher, you do research when instructing students on a new topic. In writing, I found myself researching locations for my settings and occupations for the characters. 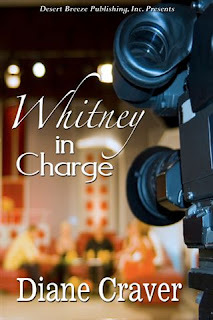 I bought a used book from Amazon on broadcasting for my Whitney in Charge book. The main character Whitney was a TV news producer. That's a great benefit in being a writer – you get to live through your character's occupation. By the way, Mallory in my upcoming January release, Marrying Mallory, is the only teacher I have for a main character. I love writing about different occupations. Teaching gave me an edge when a teacher at a private school asked me to speak to his eighth graders about my Christmas book. He chose The Christmas of 1957, my "creative nonfiction book" for the class to read during the holiday season. He used my book until he moved away, so I was invited back for a few years. Each December I taught the students about the writing process and answered their many questions. When our county library system sponsored an author day, I was chosen as one of the local authors to speak at their workshop. It was a plus for me to be a former teacher, and I enjoyed speaking in front of this large group of readers and aspiring writers. I spoke about using beats wisely in your writing. Do I miss teaching in a classroom? Even though it was an important time in my life and sometimes I miss the interaction with students, I definitely enjoy writing more. I might not be in a classroom now, but I've been amazed at how many aspiring writers ask me questions about writing and publishing. I'm still a teacher in a way. I take time to answer each one's questions, and I might read their first chapters. I understand how hard it is when you want to become a writer and want to get your books published. I had so many wonderful published authors help me in the beginning when I started on this writing journey. I think it's important to reciprocate whenever possible. Is anyone else a former teacher? Or any occupations I can use in my writing? I couldn't finish this one. I felt that the characters were too "ghetto-ized". The excessive language and violence were also turn-offs. Knowing that Trae came from a history of thugs and when he immediately ran-off from Tasha, even though she was due any day, filled me with despair. Note that this is the fourth book about Tasha and Trae and you may be served better by reading the first three. Wahida Clark was born and raised in Trenton, New Jersey. She began writing fiction while incarcerated at a woman's federal camp in Lexington, Kentucky. Her first novel, Thugs and the Women Who Love Them, and the sequel, Every Thug Needs a Lady, appeared on the Essence bestsellers list. Since her release, Wahida has achieved much success with her follow-up of Thug Matrimony. Her most recent work, Payback With Ya Life, made its way onto the prestigious New York Times bestseller's list. Wahida continues to amplify the urban landscape from her home and office in East Orange, New Jersey. Students officially start school on Wednesday. Teachers and staff have our annual welcome back breakfast tomorrow, Monday, August 17, to kick off our new school year. We get together and chit-chat with staff we email or call but only see, in person, once a year. It's a hoot. The superintendent talks about our accomplishments the past year and we cheer and clap and celebrate. This is usually followed by a speaker whose ideas are to be the focus of the school year. This year's speaker is Dr. Michael Shackleford, who'll discuss problem-based learning and effective instructional strategies. He'll meet with selected teachers throughout the school year to give more in-depth training. I'm looking forward to his words. 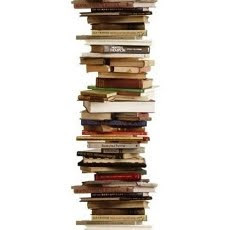 Part of my effectiveness strategies will include completing a policy and procedure manual for the library, completing a volunteer handbook, and dividing library duties between the media specialist and the media aide. I'm hoping this allows me more time to help teachers and students. We get to have an author visit this year! The Parent-Teacher Organization (PTO) has offered to help us out. In the past 3 years we've had Brad Tassell come to speak to the 6th graders and Doug Wilhelm come to speak to the 7th/8th graders. I'm hoping we can find someone that can speak to all students and then do some break out sessions with a specific grade. My first thought is James Preller - we do a huge anti-bullying campaign at the beginning of the school year and I'm working on teachers to adopt The Bystander, which releases in October. It's a great book and I believe it fits in perfectly with what we're trying to accomplish! What author would you love to have visit your school? That's a mix of library, diversity challenge, mock newbery, and professional books. I'll be posting reviews throughout the week too! 1. observation or examination of one's own mental and emotional state, mental processes, etc. ; the act of looking within oneself. Lately, I've been feeling extremely introspective. I feel as if somewhere along the way - I lost my focus...at work, at home, at school. I am not satisfied with where my life is or where it appears to be headed. I need a change of direction 'cause we know that wherever you point your feet, that's the way you're headed, and you gotta turn around to go somewhere else. I've been thinking and re-thinking my decision to become a teacher-librarian. Was that the right decision? I enjoy my job, immensely. I like working with a variety of teachers and students. I could be helping out in the science classroom one period and teaching on avoiding plagiarism the next. I get to read and suggest books that others should read. I do book talks and I teach students how to do them. My schedule is fairly flexible with the ability to move in and out of the library as needed. The variety is stimulating. But somehow, it's not enough. One of the 6th grade teachers and I talked about a book she wanted to introduce to students this year - Dream by Susan V. Bosak. This books is connected to The Legacy Project. The 6th grade Nonfiction teachers will be focusing on helping students visualize, set, and reach goals. The more we talked the more I realized, this is the what I need. I need a definition. I need to look at my mission and vision - what am I doing to make them a reality? A few years ago - when I wanted to leave teaching - I came across The Path by Laurie Beth Jones. I read (skimmed) the book and defined what I felt should be my mission. Should be, not is. My lack of commitment shows in the very fact that this workbook is empty! I didn't write in it. But somehow, I devised a mission and from that, I formed a vision. But I didn't write it down. I didn't communicate it to anyone. Which, in reality, means I can't make it happen. Talking to the 6th grade teacher, emailing with Kay Cassidy, looking back over some posts I'd made earlier in the year, helped me to realize it's time. It's time to make a commitment - to myself. So, I'm stepping out on The Path, mindfully, spiritually, completely. For some inexplicable reason I started crying. I pulled out my phone and did a Verizon Song ID, bought it, and have played it over and over since. There's a message in there for me. Or for me to give to someone. Not sure yet. Two specific lines in the song relate directly to two rings that I wear - Fear Not and Pray Hard. That's gotta mean something. Introspection - it's where I'm at. Don't know how long I'll be here. Don't know how it'll affect this blog. I do know I'm tired of separating my life into boxes. I'm pointing my feet and I'm going that-a-way. Just wanted you to know. No time to finish this novel but so far it's good. It's as if you are looking in on another life but with similar problems, if you are a divorced mom. The book is peppered with cultural phrases that are explained in context or in another sentence later. This was slightly distracting at first because I wanted to know what the words or phrases meant, but once I learned my curiosity would be rewarded shortly, I relaxed into the book. Belinda Acosta lives and writes in Austin, Texas where she is a columnist for the Austin Chronicle. Her non-fiction has appeared in Poets & Writers, Latino USA, the radio journal of news and culture, AlterNet, the San Antonio Current, and Latino Magazine. She is a member of Macondo, the writers' collective launched by acclaimed writer Sandra Cisneros. She loves knitting, BUFFY THE VAMPIRE SLAYER, chips & salsa, mariachi (good, make your soul leap from your body, mariachi); conjunto music (todo old school), and given the opportunity, will square dance. DAMAS, DRAMAS, AND ANA RUIZ is her first novel. I'm still finishing my last assignments. I hope to be back to blogging full-time by next Monday, August 17, 2009. I will be making some changes over the course of the rest of the month as I focus on my next life stage. I have 3 blog tours this upcoming week then it's back to work full-time August 14th! This "down-time" will be followed by a September filled with book releases, tours and giveaways. Stay tuned and enjoy your last days of summer. School returns way too soon! The Brain Lair is taking a break. I have a massive amount of work to do to finish up my last 3 classes. I will post as often as I can but I know they will be rare. I expect things to return to normal around August 10th! Since these classes are vital to getting my MLS as well as my Media Specialist license, I really need to put some time into them. Take care and I hope to be back soon!